Your table's set with Wedgwood. Your main course: Lobster Thermador. 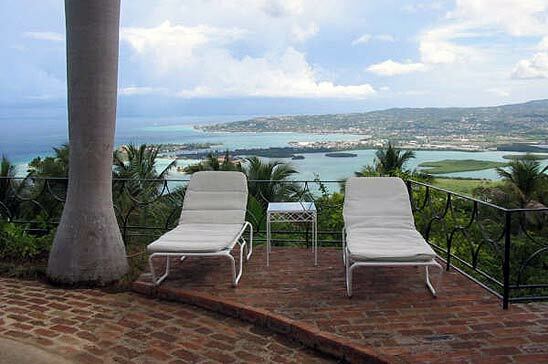 Your view: the Montego Bay skyline, dramatic at night, with or without the estate's own telescope. Garden pathways lined with Spanish cannon connect 5 luxury air-conditioned suite bedrooms, -- 7,200 square feet of living space -- A 330 foot wraparound verandah looks out from the great hall/central living & billiards room to the night lit pool, the sea below, the city beyond -- a breathtaking view by day and night. Hidden 1,500 feet up in the mountains in a working coconut plantation minutes from Montego Bay -- but a world away -- DRAMBUIE offers spectacular views, the luxury of total privacy, a superb chef and a welcoming staff, geared to helping you relax and discover Jamaica, away from the crowds. 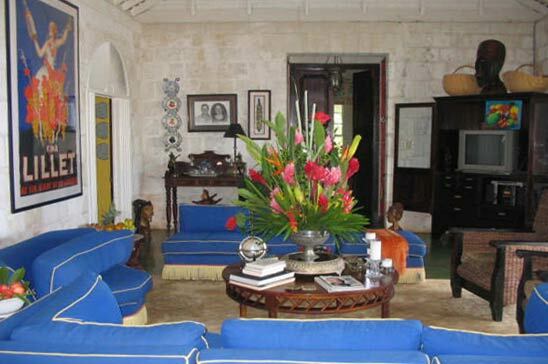 Elegantly but comfortably furnished with Jamaican antiques and art collected from the owners' worldwide travels, DRAMBUIE is a true refuge away from it all. Enjoy breakfast, lunch and dinner -- all to order from your own personal chef. Lunch in the poolside pavilion. Dine by candle light on the sweeping verandah anc choose your dinner from Drambuie's menu. 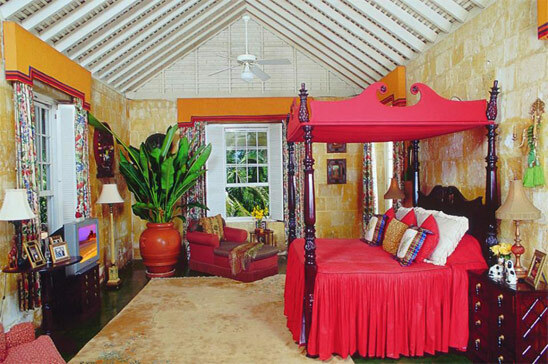 The central great hall with 16 foot high ceilings also houses a luxury MASTER SUITE with king size four-poster antique mahogany bed, french doors that open wide to the verandah. 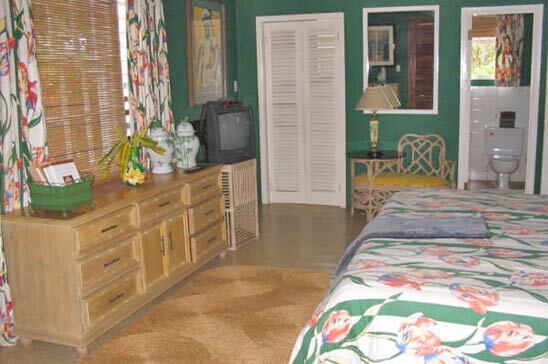 A plantation desk with PC offers complimentary Internet service, plus a marble, etched glass and mirrored bathroom suite with shower, sunken tub and bidet. Step away in the separate COTTAGE: 3 bedrooms with king size beds (two are therapeutic waterbeds) and en suite bathrooms. Connecting doors allow separate suite privacy -- or a large open suite for families with children. 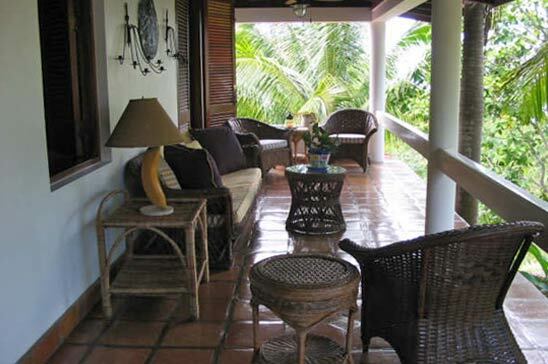 HONEYMOON HIDEAWAY offers additional privacy on a lower separate level. 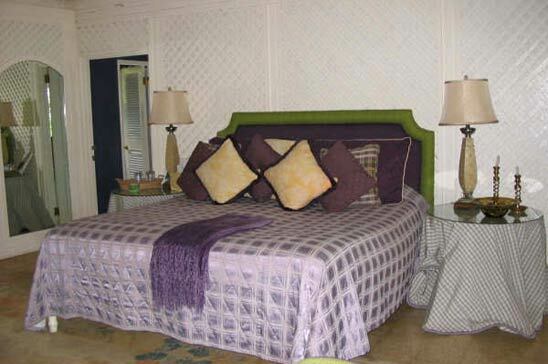 The queen size bedroom w/ en suite bath opens completely out to a cool shaded garden and its own private breakfast terrace through a wall of 12 louvered doors.All bedrooms are air-conditioned. 6 cable tvs, music system, portable players, dvd/vcr/CD library, hairdryers, mini-fridges. Daily maid service. The estate's full-time private driver and a/c van provide complimentary airport transfers, jaunts down to Round Hill for beach, tennis, a drink at the piano bar, gallery and shops -- or wherever you'd like t explore. Drambuie is the perfect setting for weddings. The back drop of the Caribbean Sea and Montego Bay is simply breathtaking and perfect for wedding photos. Complimentary driver (with 1 week's rental of full 5 bedroom booking) for airport transfers and touring to Montego Bay, Negril, Ocho Rios. Staff Gratuity is additional and based on a minimum 10% of villa rental in High Season and 15% in Low Season and is required. 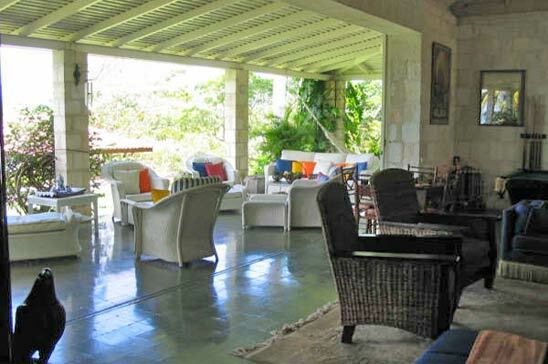 Food and drinks are additional and a meal plan is available to order from the estate chef based on US$50/person. View Drambuies dinner menu here. 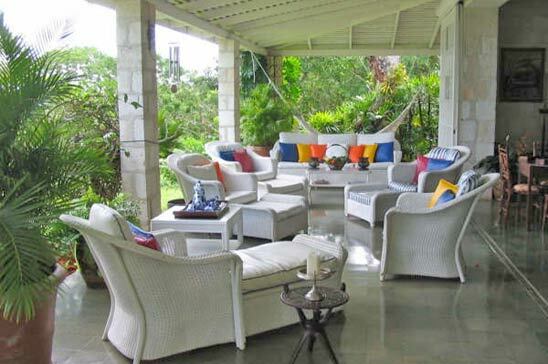 A special amenity available to guests in this villa is membership at Montego Bay Yacht Club. MBYC membership benefits include swimming pool & terrace, unlimited use of tennis courts during daytime (additional fee for lights at night), children's play area, indoor and outdoor showers and changing rooms, free wireless internet facilities, comfortable lounges and bar for relaxation, and a 10% discount off food and beverage at The Seahorse Grill restaurant (seaside dining with great views of Montego Bay). For additional charges, members may enjoy watersport activities operated by Captains Watersports (Advance Booking required), Resident Tennis Pro, lighted tennis court at night, private meeting room and venue rental discounts for functions and events. Also included is Free Access to the new Hard Rock Café Beach Club (formerly Seawind Beach Club), conveniently located a short walk from MBYC. Enjoy the beach, reggae vibes and a 10% discount off food and beverage at Hard Rock Café's unique dining experience. 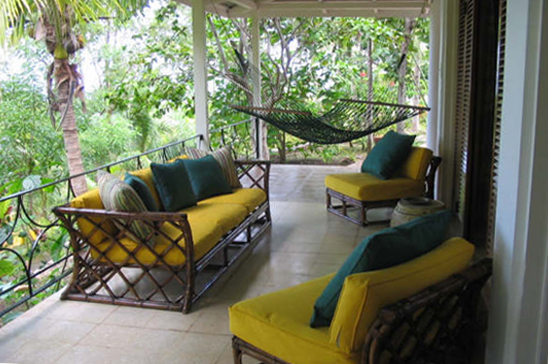 A deposit in the amount of 50% of villa rental will Secure your RE-confirmed reservation. Balance is due at least 60 days prior to arrival, 75 days for Christmas or New Year's Weeks. 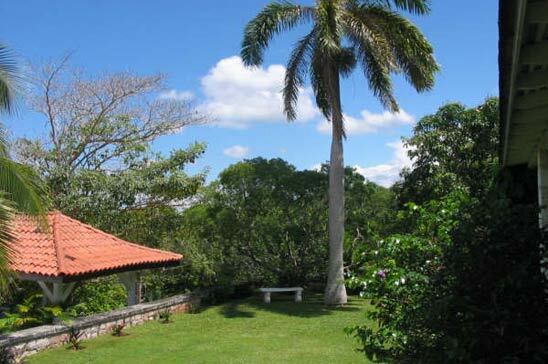 Please inquire for shorter/longer term rentals and cancellation policy.